Dizziness that makes us feel unsteady and disoriented during motion sickness is common and treatable. How can I avoid dizziness? Cut out (or decrease) nicotine, caffeine, and salt. 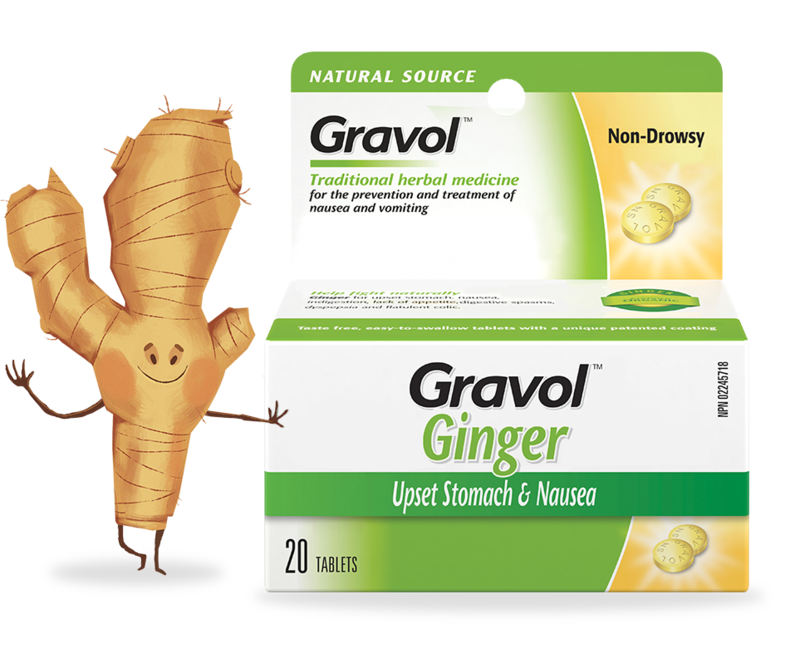 These products impair blood circulation, which increases dizziness. If you’re travelling by air, ask if you can move to an area that has less motion like the middle of the plane, close to the wing. If you’re travelling by car, call “shotgun!” Sitting in the passenger seat helps you anticipate upcoming motion, lessening the effects. 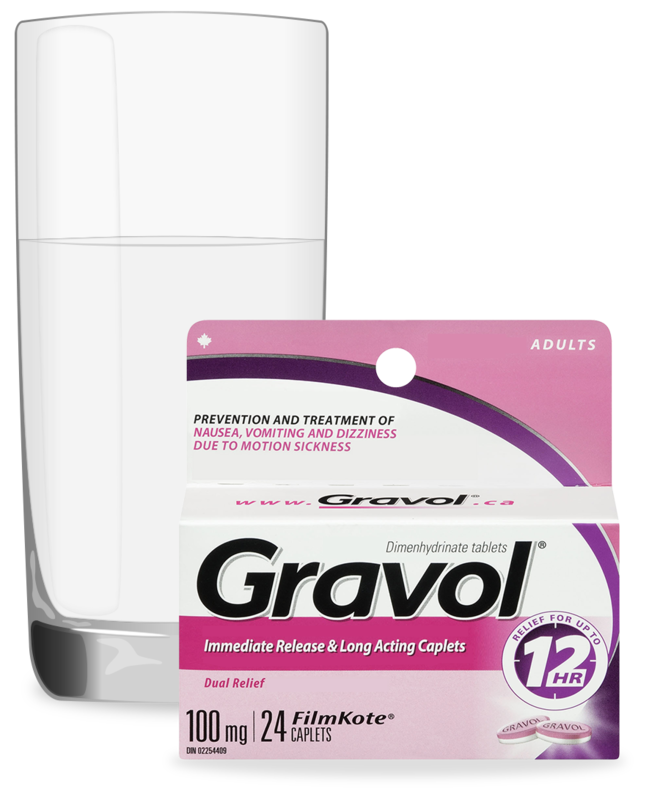 Before you go, take a dose of GRAVOLTM to help prevent dizziness due to motion sickness. If dizziness persists, see a doctor. How can I treat dizziness? Keep a level head: avoid extremes when looking up, bending forward or turning and twisting your head. Take it slow if standing up or turning from side to side. Be ready to steady yourself in the event of dizziness by holding onto something sturdy like a piece of furniture or railing. Drink small amounts of clear liquids such as water, soda or non-acidic juice. 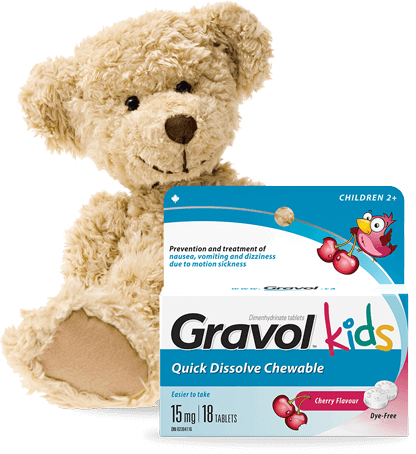 A dose of GRAVOLTM will help treat your dizziness due to motion sickness.